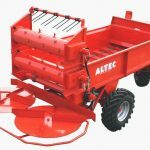 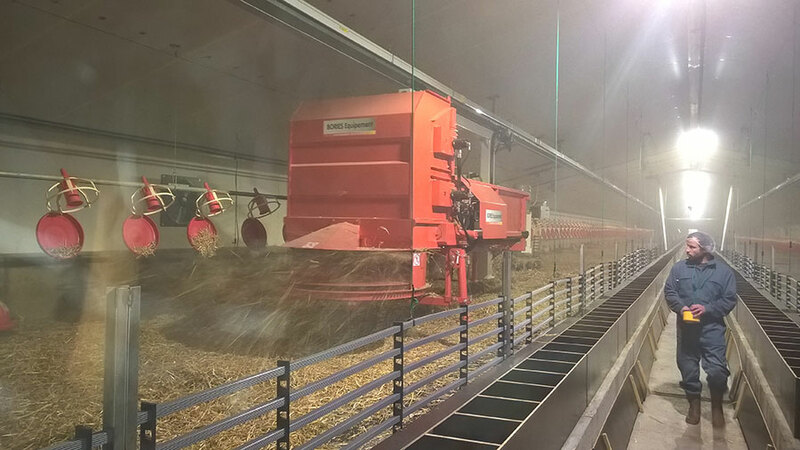 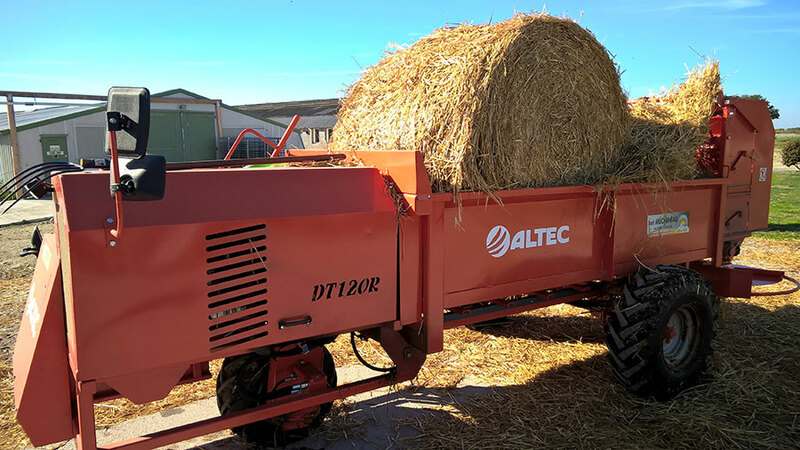 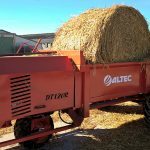 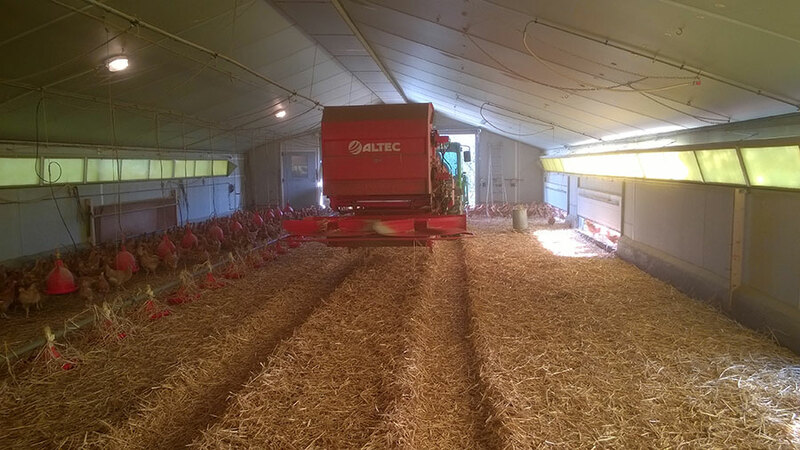 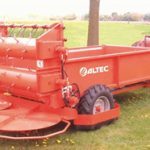 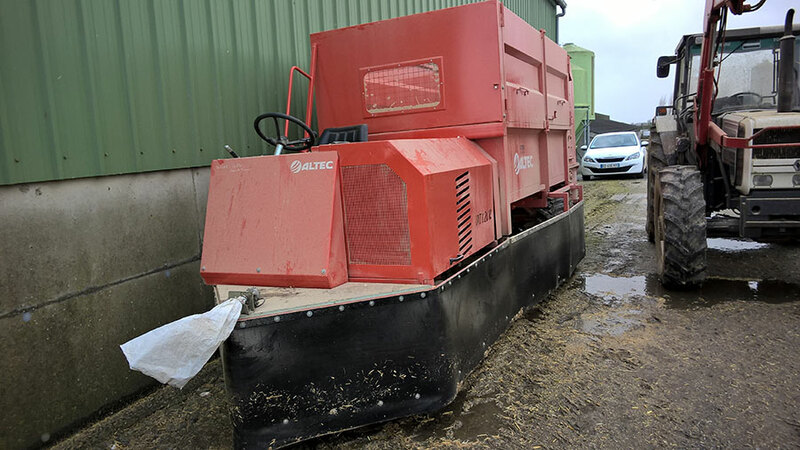 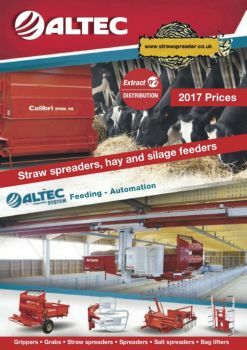 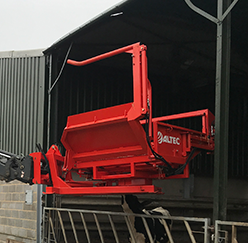 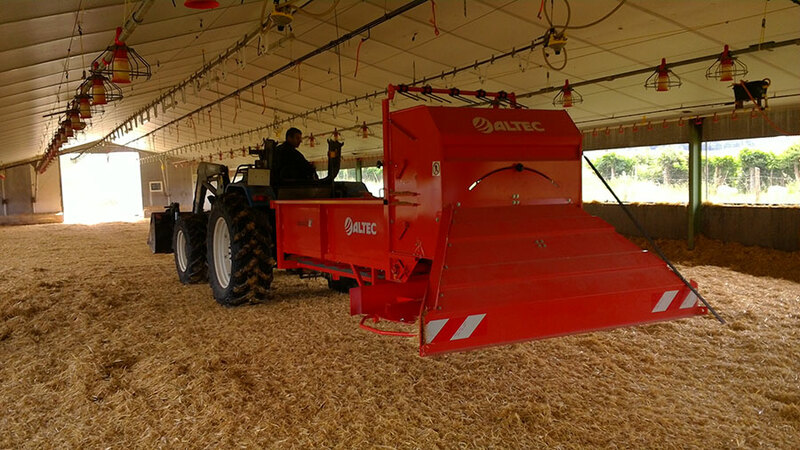 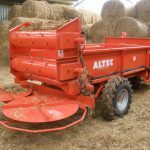 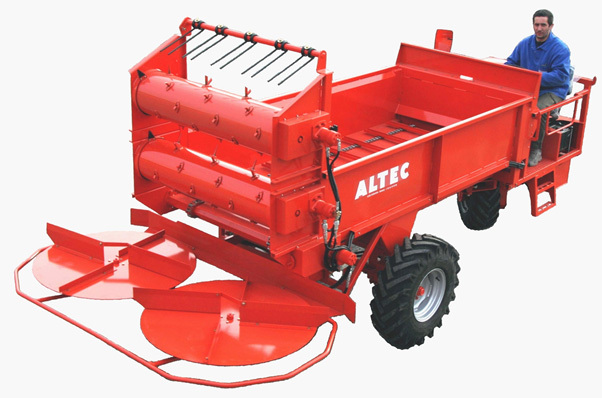 Straw Spreader and Altec have a wide range of machines to suit every application of poultry production, as well as the normal machines that are attached to telehandlers and tractors, We have a large selection of self propelled units and roof hanging machines, ideal for leaving inside the unit. 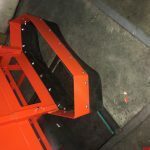 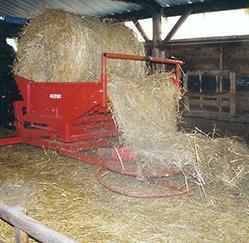 As most units now require more specialist machines, we have several machines that are tailored for this industry, the most widely used and versatile spreading system is the spinning disc, it has the capability of spreading as much or as little as required to cover the bedding area , it has the ability to spread up-to 12 m wide with the widest disc option fitted. 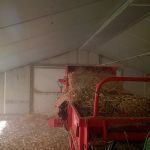 The general ethos with all of our products is to produce little or no dust, this is performed by teasing the bale apart and then spreading the straw ,no dust is created by the machine as it does not chop the straw, what is in the bale is on the floor this creates a very level bed and no respiratory problems, for stock or the operator. 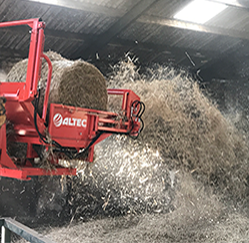 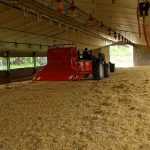 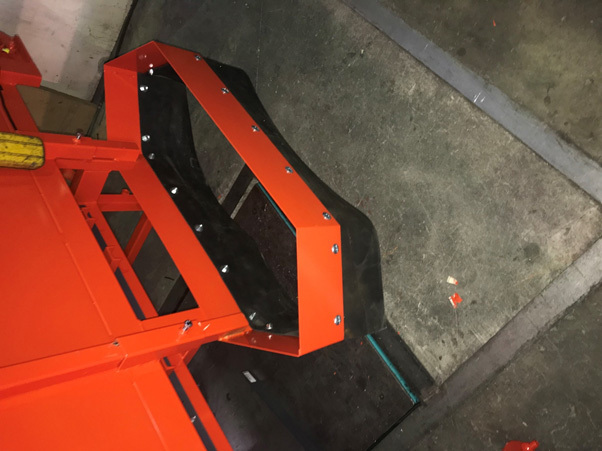 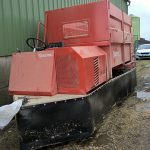 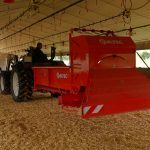 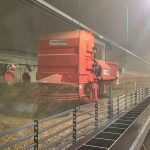 Self-propelled machines or Roof hanging machines can be a great cost saving solution when, large bales need spreading and you don’t have large enough machinery on site for example poultry and pig units. 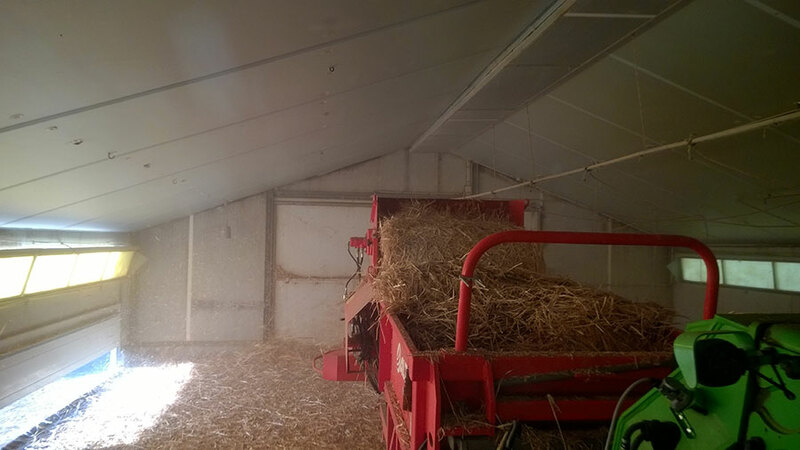 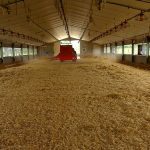 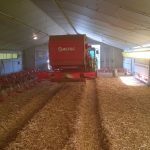 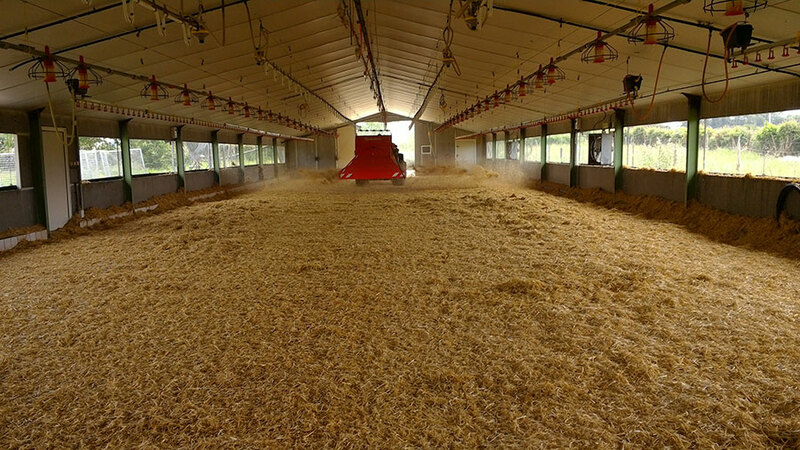 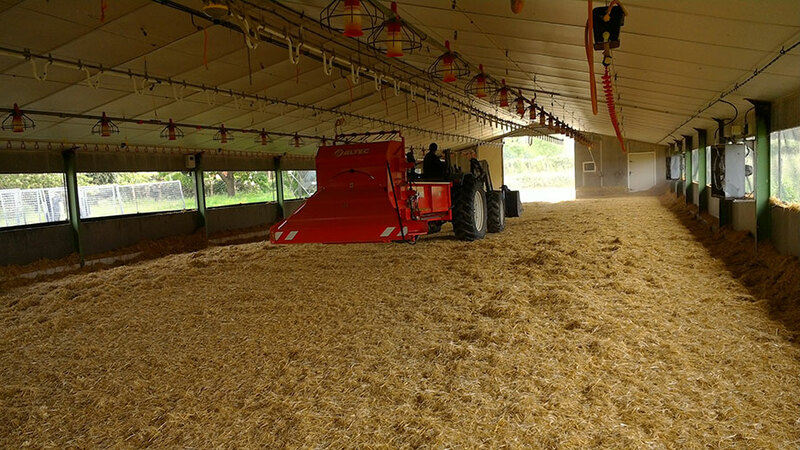 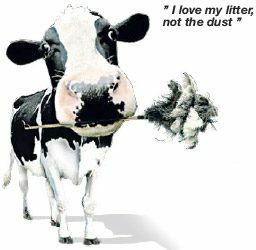 In more and more circumstances where large amounts of straw need spreading, and your buildings have limited access into and around the shed space. 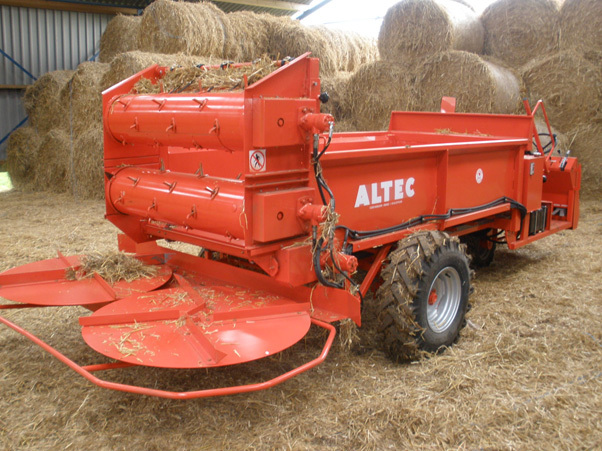 Straw spreader and Altec have a range of self-propelled and Roof mounted hanging options to suit most requirements, please use the contact us page to arrange a site visit or for one of us to arrange a call to discuss your individual requirements, a price can then be worked out based on the specification required and, in most cases, this solution can work out more cost effective than having several machines.